If you would like to build community and open conversations in a time of aggression & polarization, these books may be just the thing. How do we converse as diverse members of our communities? How do structure those conversations so that we're really hearing each other, and gathering in many voices? Paul Born tackles these questions in this very practical book of techniques and examples of doing just that. He is President of Tamarack Institute, an organization focused on this subject which has been working hard on these kind of massive projects for years -- their website is full of great resources to explore, following on from each of these books. I really liked the structure and the practical nature of this book. Born talks about creating community through holding conversation -- and he means structured conversations with goals and outcomes and so on. There are 10 specific techniques shared which he has used to make this happen, and for each one he shares further online resources to explore. I can see how one or many of these would really benefit when trying to improve communication among community members. Some are very organizational, some are more relaxed and informal, but all have the outcome in mind. The first part of the book is a general overview of conversing, engaging, collaborating & casting your vision; the second is a look at all 10 techniques he recommends. And what I love about both these books is that for each suggestion, there are numerous notes and links and resources shared for further exploration. This was a thought-provoking book, and I'm also very glad to have discovered the Tamarack Institute's website, newsletter, resources & more. Really encouraging to read of positive action occurring in communities. San Francisco: BK Books, c2014. How could I resist a title like this? It says what I'm feeling lately. How do we rebuild a sense of strong social cohesion? 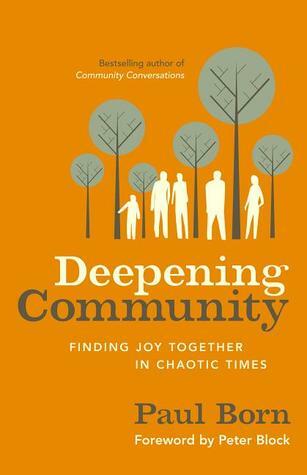 Born discusses this conundrum, defining 3 types of community: shallow, deep & fear-based. I think we can look around and see all of this in our society now, though in this construction, "deep" is the ideal. 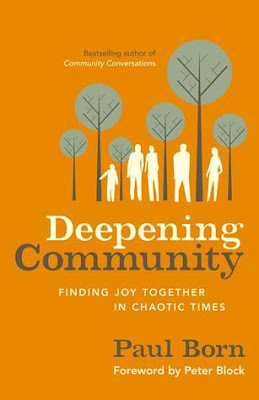 As I read the key characteristics of each, it was clear to me that I exist mainly in shallow community right now -- with connections to others but not a traditional, deep sense of depending on others and having the drop-in-on-your-neighbour-when-they-need-something knowledge of those around me. But I also started to wonder if that was due to social conditions, or if it is that I'm an introvert, and the idea of hanging out with all my neighbours a lot doesn't actually sound that great to me! This would be very interesting to discuss with anyone else who has read this, hint hint. Born outlines the four pillars of deep community: sharing our stories, taking the time to enjoy one another, taking care of one another, and working together for a better world. All of these are great principles, all of which I agree are vital to building stronger communities. But I'd like to see them expanded upon with a little more nuance, taking into account cultural and/or personality differences, as noted above. This book felt a little more personal, with lots of talk about Born's upbringing in a more rural Mennonite community, which I didn't relate to as much. It felt very extroverty and nostalgic to me, even while I'm obviously interested in the idea of community, which is why I'm reading it. These personal stories were a bit repetitive as well, and while there was lots of good in this bok, I ended up skimming a fair amount. 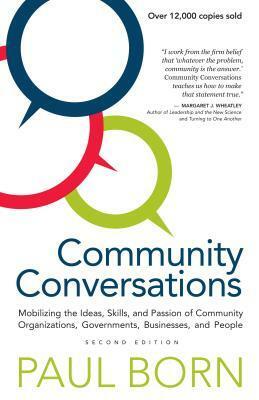 It's good but I'd recommend trying Community Conversations first if what you're looking for is actionable steps toward fostering conversation and understanding. Melwyk, thank you for your always excellent reviews. Both of these books sound, er, discussion worthy. I don't think I've ever seen extroverty in print (or even spoken) before--what a terrific word!